The United States Potato Board (USPB) organized the US Potato Safari 3 last December 2015. The third of its initiative, with the previous held in Cebu -- this time, the campaign takes place in the beautiful city of Davao. This 3-day US Potato immersion aims to promote local restaurants and culinary talents while showcasing the quality, flexibility and creative use of frozen US Potatoes. And I was fortunate to have been invited to join the US Potato Safari 3, along with select Manila and Davao bloggers, where we were not only given insightful information about US Potatoes, but were also treated to appetite whetting goodness. While I personally haven't fully recovered yet from the food comma at Claude's, we already found ourselves in the warm and inviting dining room of Cafe Uno, Waterfront Insular Hotel Davao's in-house contemporary restaurant. And while my mind was telling me to eat less this time around, my palate says otherwise. How can it not? 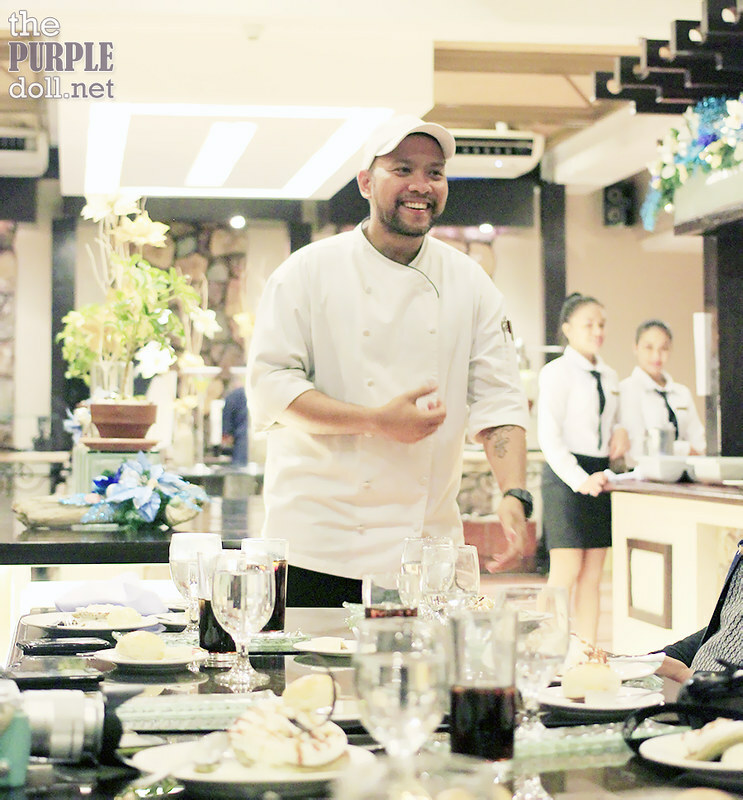 Our dinner was exclusively prepared by the hotel's Executive Chef Victor Barangan himself! For dinner, we were to enjoy a 5-course meal of modern dishes with an Asian flair. And to start off our tasting, we had an interesting appetizer. This meal starter is actually simple, but it's definitely an eye-candy! 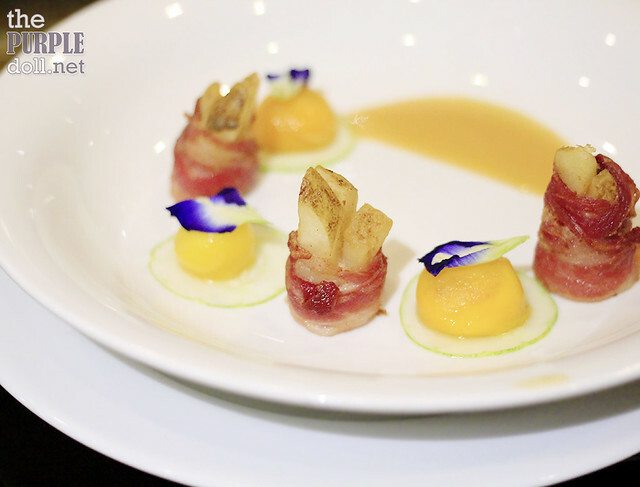 Thick-cut fries wrapped in crispy bacon, with balls of peaches and edible flowers in a sweet-salty miso sauce. Ate the potatoes, bacon and peaches together, and it's definitely a nice party in the mouth. A subtle but interesting prelude for the next dishes to come. 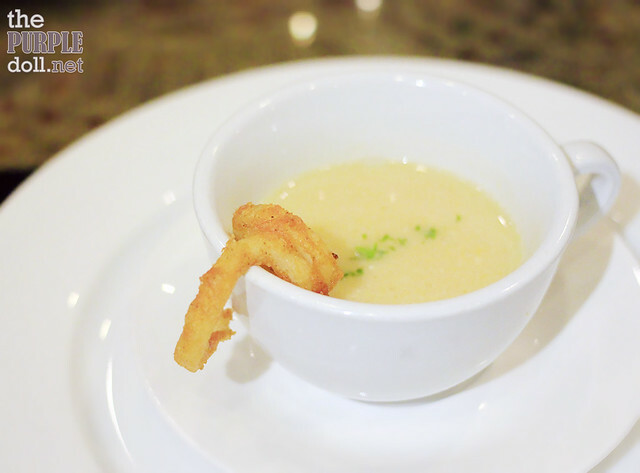 For soup, we were served with a creamy corn bisque garnished with a curly twister fry. At first glance, one would think that the only US Potato component on the dish is the garnish. However, upon tasting, you'd get hints of potatoes. And that's from the dehydrated potatoes used to thicken the soup. Interestingly, this is my most favorite part of the meal. Fresh greens, balls of watermelons, pickled radish, crispy criss-cut fries and a hot crab salad that oozes with umami. You get a play of both flavors and textures. What's not to love? If I return back to Cafe Uno soon, I'll definitely order this again! 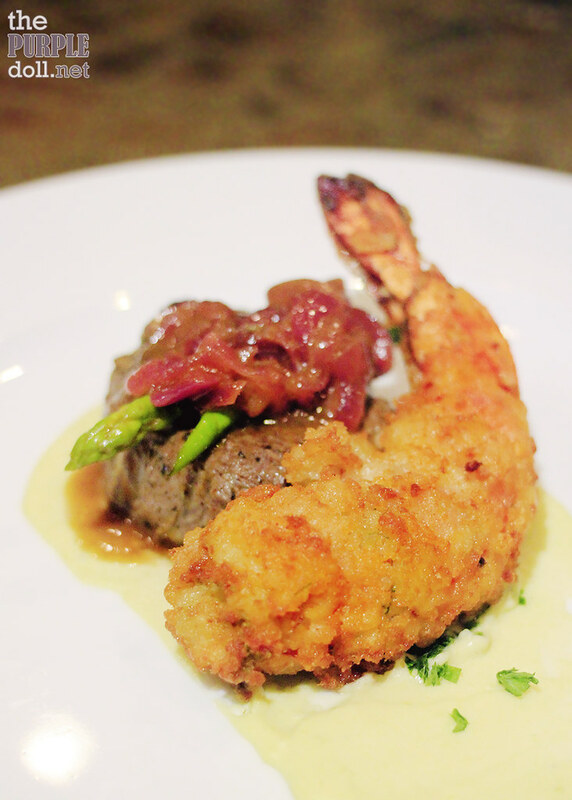 For main course, we had the best of both worlds -- beef and seafood. My grilled steak, topped with sweet onion chutney and asparagus, came in medium well. Would've preferred medium, but flavor is good. It's beef, what could go wrong flavor-wise? On the other side of the meat came the crispy potato-battered giant prawn tempura on a bed of creamy mashed potatoes. Another dish I liked from our dinner was our dorayaki dessert. Dorayaki is a Japanese treat, similar to a pancake but filled with azuki red bean paste inside. 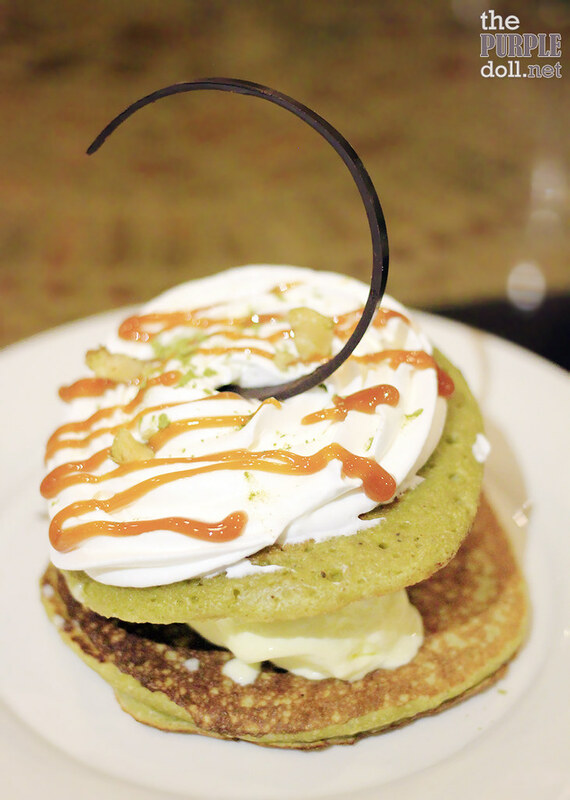 Chef Victor's take on dorayaki though, are two slightly chewy (from the dehydrated potato powder) green tea pancakes with durian and vanilla ice cream in the middle. Not only are the pancakes addicting from their bouncy-bitey texture, but I'm also a sucker for durian flavors, so this is right up my alley! Oh, and I was more than happy to finish my seatmates' durian ice cream. Teehee! While I would've never thought it would be possible to concoct an interesting menu with every item infused with US Potatoes, my doubts were certainly put to a halt with our scrumptious lunch and dinner. 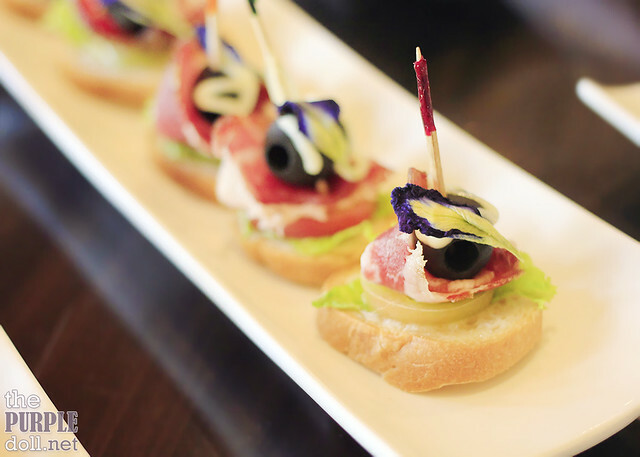 It was even surprising that Chef Victor of Cafe Uno decided to make his menu Asian-inspired. So ingenious! The sharper Asian flavors definitely helped cut through the starch in potatoes, and made the dishes well-balanced and more addicting.